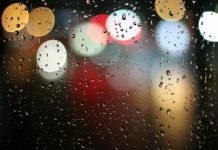 More Photgraphs at the bottom of this article. 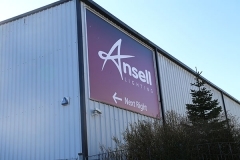 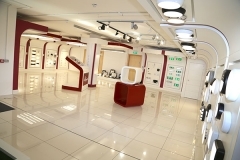 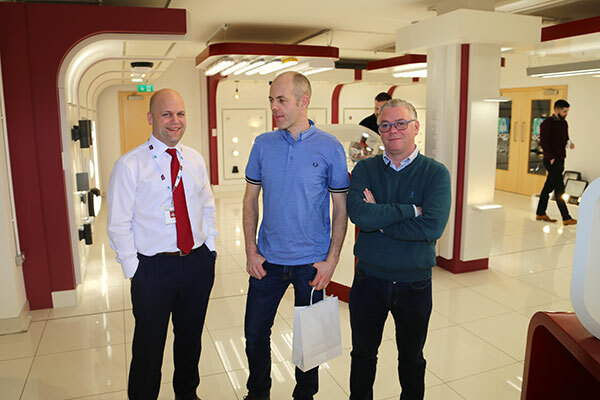 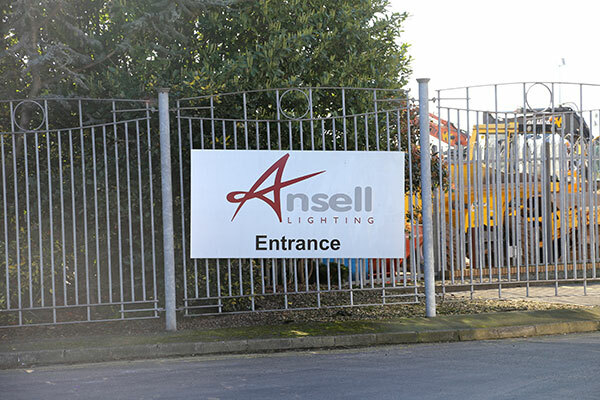 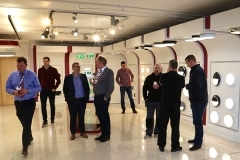 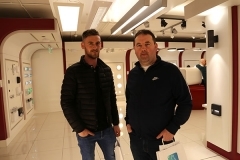 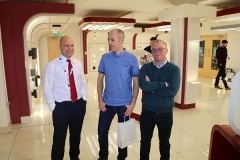 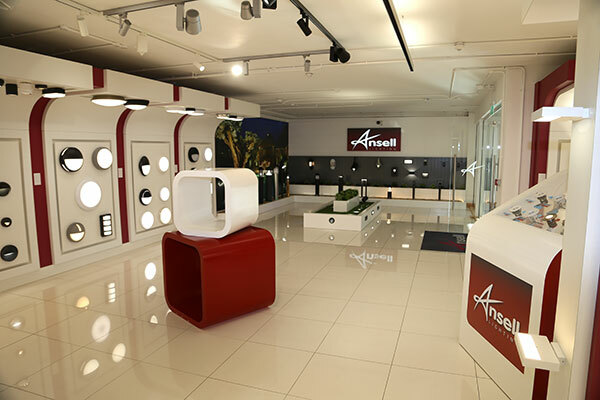 Ansell Lighting invited ELECTRIC.ie to the opening of their new lighting showroom in Belfast. 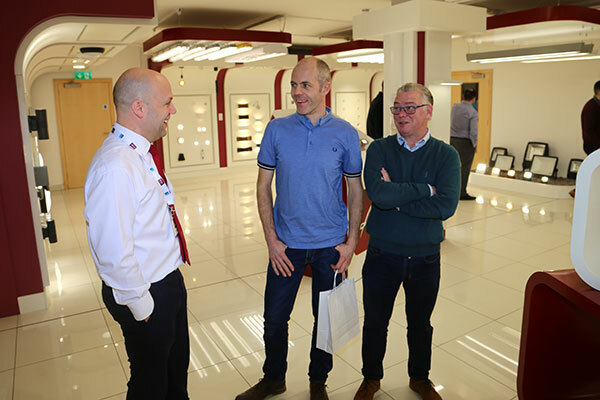 They combined the day with some training and demonstrations on the new OCTO range of products. 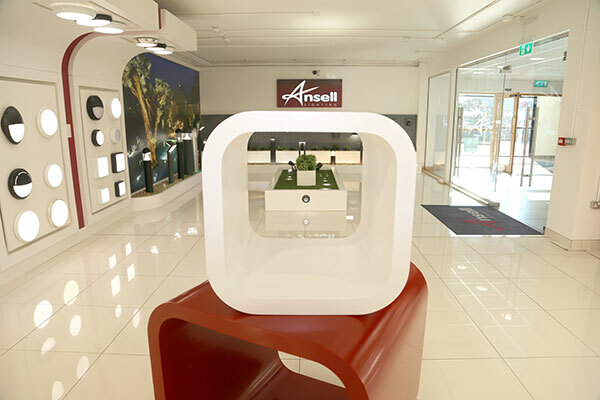 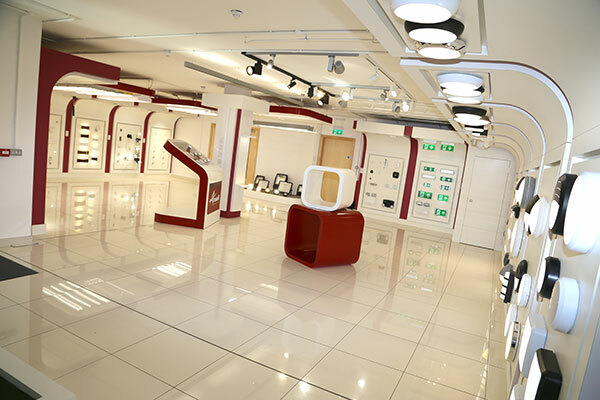 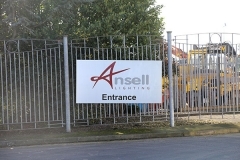 The new showroom has been fitted out with the latest Ansell products and systems. 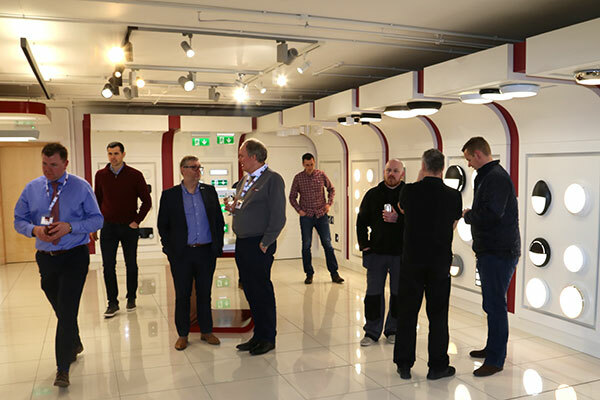 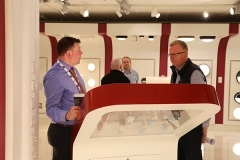 Visitor’s were greatly impressed that many of the products on display had been fitted with the new wireless control lighting solution OCTO. 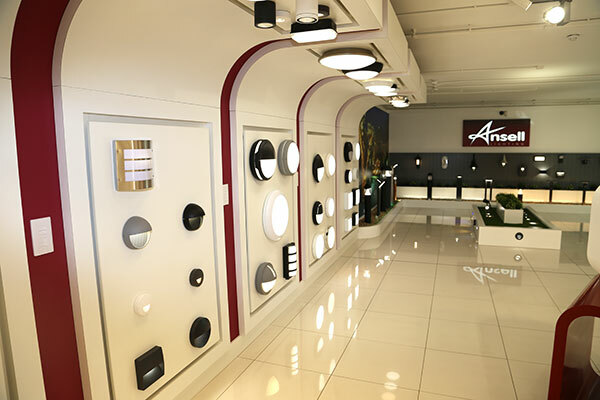 This meant that with the aid of an Ipad, customers could set up different lighting configurations throughout the room on the fly. 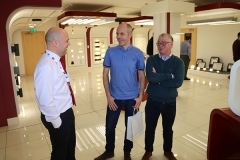 Demonstrations was given by Nicola Gill and supported by Phil Duignan of Holders Components. 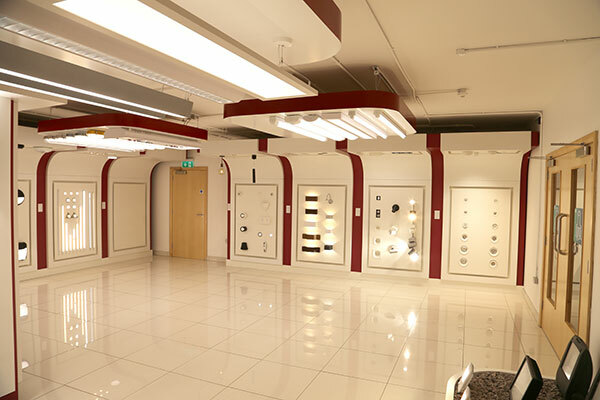 The whole training room had been pre-wired with OCTO products. 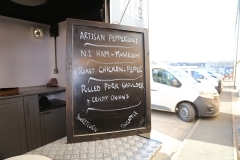 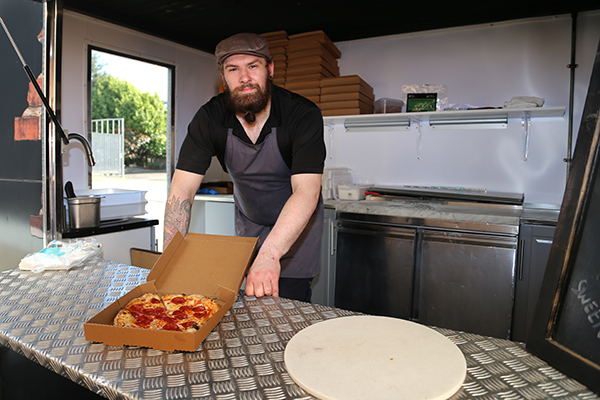 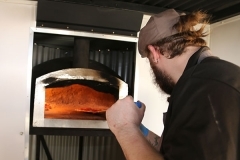 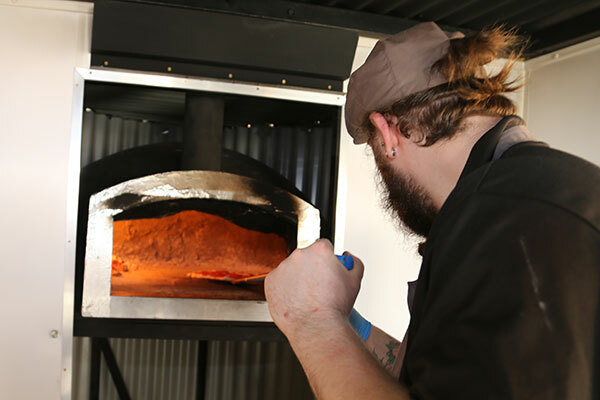 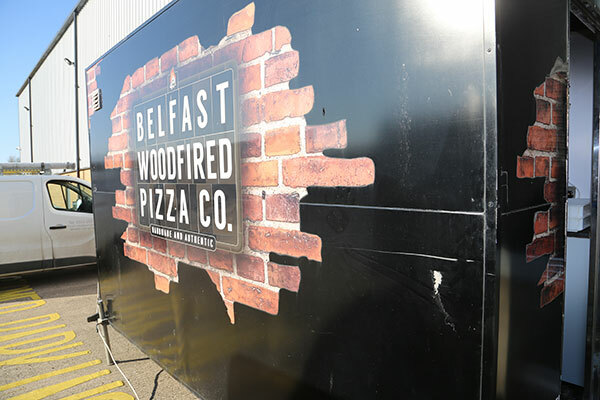 As they waited for the next session to begin, people were treated to pizza freshly cooked just outside the premises by Jacob of the Belfast Woodfired Pizza Company. 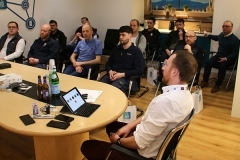 Nicola explained that this smart lighting system is based on the Casambi bluetooth low energy system (BLE). 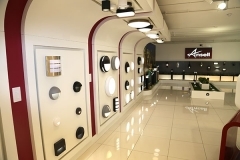 This means that after you configure your installation with your remote device such as an Ipad or Android device, the installed equipment operates in a mesh network system (local network) so does not need to be permanently connected to Wi-Fi. This helps keep the installation really secure. 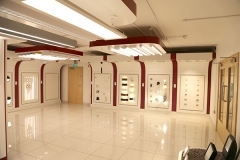 You can add wireless switches or extra lighting at any time. If you need to re-configure the installation, you simply connect using your remote device and re-configure the layout. 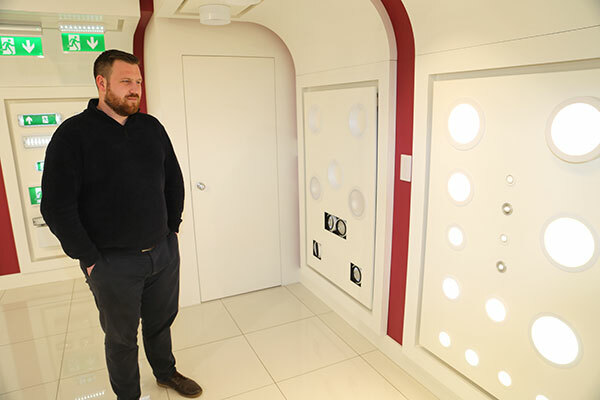 It really is an incredible system and quite easy to install. 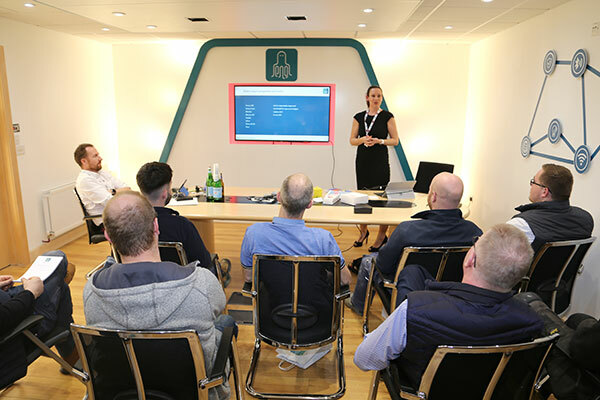 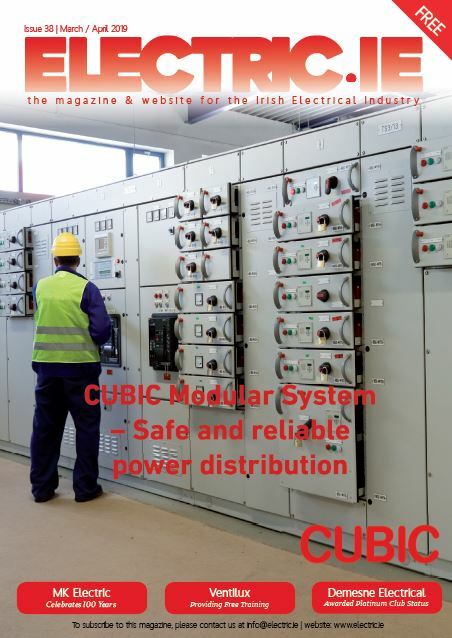 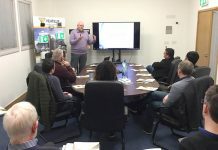 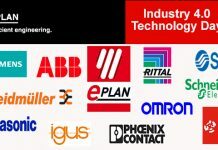 This is exactly the kind of technology product that electricians seeking to add value to their service offering could be getting themselves trained up on. 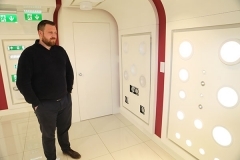 For information on the OCTO system.